The Lusso Evolve is a high quality long-sleeved cycling jersey made from MT.1 – a clever fabric which has been specially designed to help transfer moisture away from your body keeping you cool and comfortable and preventing overheating. 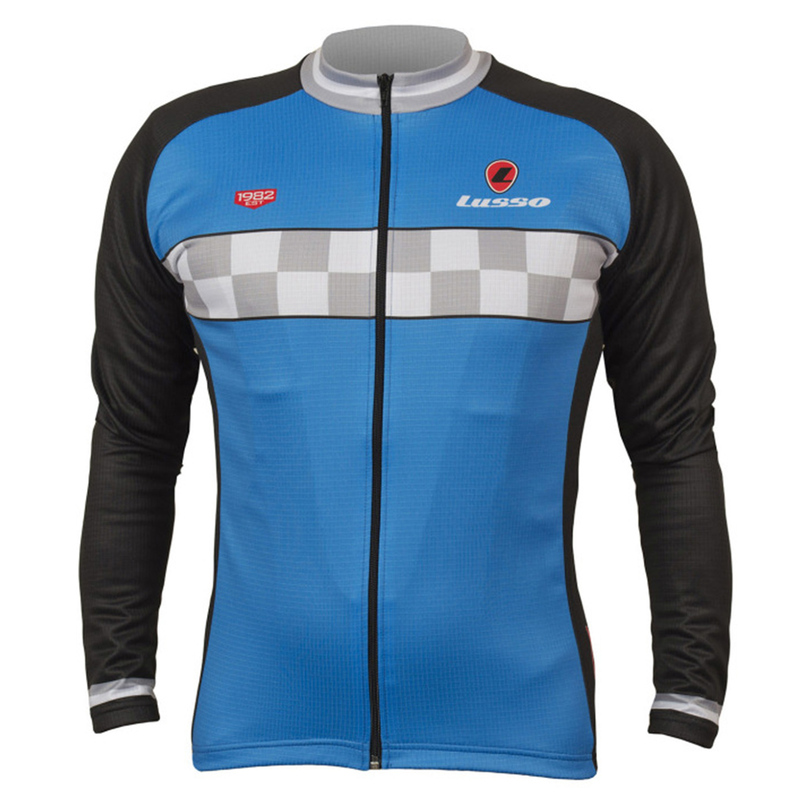 Available in a variety of colours each with a distinctive checkerboard band across the chest and back the Evolve is a great looking long sleeve jersey which is anatomically shaped to give a secure, enclosed feel and a form-fitting look with no excess fabric to bunch up or flap in the wind. Featuring a full-length zip for easy access and four pockets including one zipped pocket to keep your keys or phone secure this long-sleeved jersey is made in Manchester in the UK is a practical and stylish jersey which is perfect for cycling in cooler weather. Very happy with this jersey as a medium weight late winter/early spring. I am at the very lower end of the Medium sizing range and it fits me very well with a thermal underneath. Love the classic/retro style.